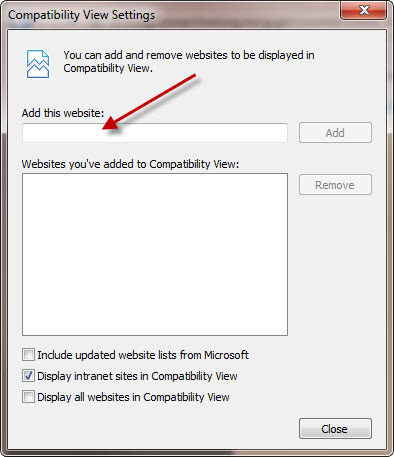 Step 1: In IE select "Tools" from the menu bar and select "Compatibility View Settings" from the drop down. 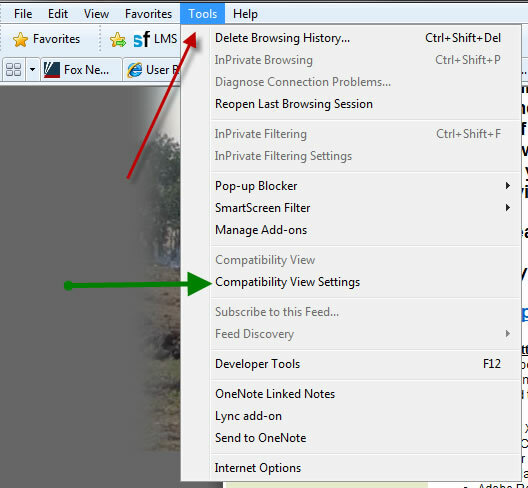 (Note: If you do not see the "Menu Bar" press the "Alt" key for it to display.). Step 2: Place your curser in the "Add this website: field. 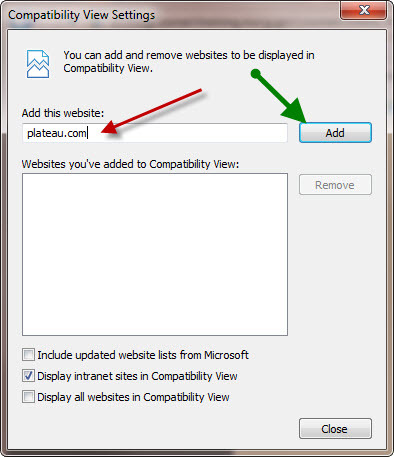 Step 3: Type "plateau.com" and select the "Add" button. 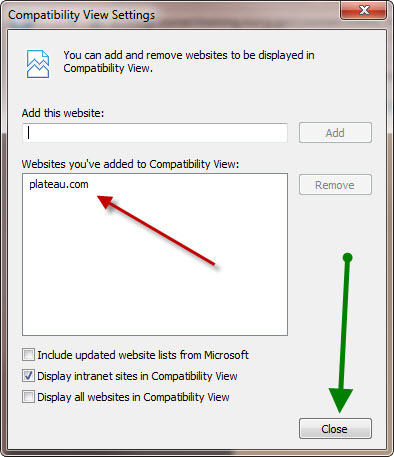 Step 4: Verify that "plateau.com" was added and select the "Close" button.